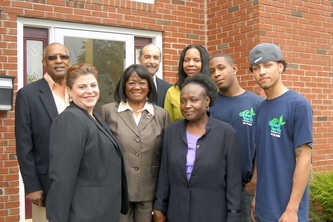 Councilwoman Dorothy Goosby hosted a meeting at Hempstead Town Hall with New York State Department of Labor and community leaders concerning the New York Youth Works Program, a statewide program to combat the unacceptably high unemployment rates among inner city youth in communities across New York. 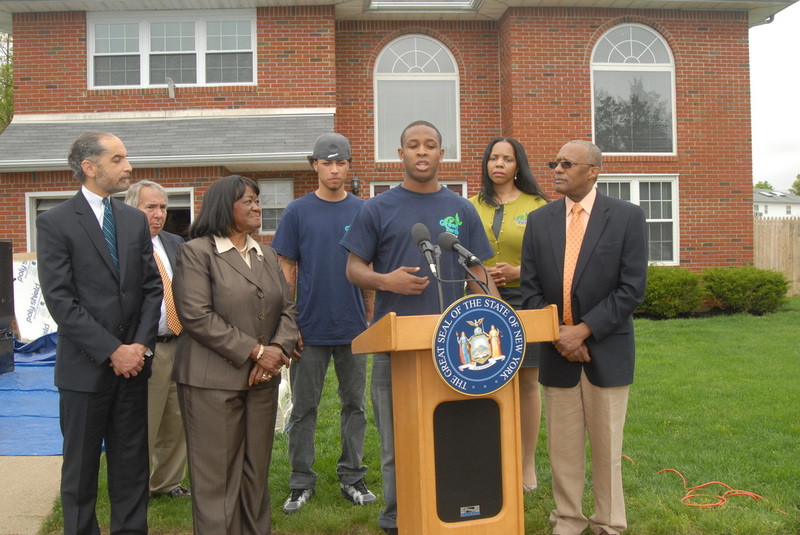 Governor Andrew M. Cuomo signed the NY Youth Works Program into law on December 9, 2011 to encourage businesses to hire unemployed and disadvantaged youth. The program will support job training and employment for eligible youth ages 16 to 24 who live in Albany, Buffalo, New York, Rochester, Schenectady, Syracuse, Mount Vernon, New Rochelle, Utica, Yonkers; and Towns of Brookhaven and Hempstead. 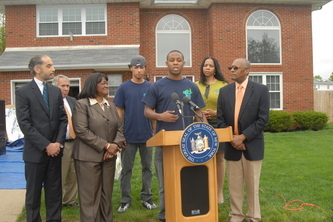 Businesses interested in participating in the NY Youth Works program should visit http://www.jobs.ny.gov/youthworks. Youth interested in participating in the program can visit their local One-Stop Career Center at Hempstead Works Career Center, 50 Clinton Street, Suite 400, Hempstead, NY., 516 485-5000. The Caroline W. Mungai Foundation hosted its 6th annual breakfast fundraiser at the Garden City Hotel in Garden City. Town of Hempstead Councilwoman Dorothy Goosby was invited to be a guest speaker with Dr. Nathan Kahara, former Mayor of Nairobi. The Caroline Wambui Mungai Foundation (CWMF) established a home and school for orphans and vulnerable children in Wangige, Kenya. Councilwoman Goosby visited and worked at the orphanage in 2008. She is a great supporter of the efforts of Drs. George and Anne Mungai (President and co-founders) who created the orphanage in memory of their daughter Caroline whose dream it was to become a teacher and start a school to help children from disadvantaged backgrounds. Suburban Technical School was founded in 1970. It is own and operated by Premier Education Group, that owns 26 schools and colleges throughout northeast coast. We offer career focused education in allied health divisions. Suburban Technical is licensed by New York State, Department of education and is accredited by ACCSC (Accrediting Commission of Career Schools and Colleges. 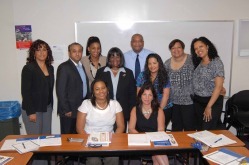 Here at Suburban, we offer Medical Assistant and Medical Billing & Coding program. Our instructors are licensed by New York State, Department of Education and brings 15 + years of experience to the classrooms. To make sure our student(s) are successful, we offer extra help 6 days a week, including Saturday. We have day and evening classes available. We have career services department, who sole purpose is to assist you in finding the job / career. We also have Financial aid for those who qualify. A Grand Opening Ribbon Cutting was held for QSAC, Quality Services for the Autism Community, a day center for Nassau County adults with autism. Town of Hempstead Councilwoman Dorothy Goosby congratulated Gary A. Maffei, Executive Director, Andrew Linden, Director of Adult Programs, and staff members. QSAC is located at 872 Atlantic Avenue in Baldwin, can be reached by phone at 516 301-5786, and on the web at www.QSAC.com.